One of the most exciting things about visiting a new country for me is experiencing their culture – Food, Drinks, Music, Fashion. 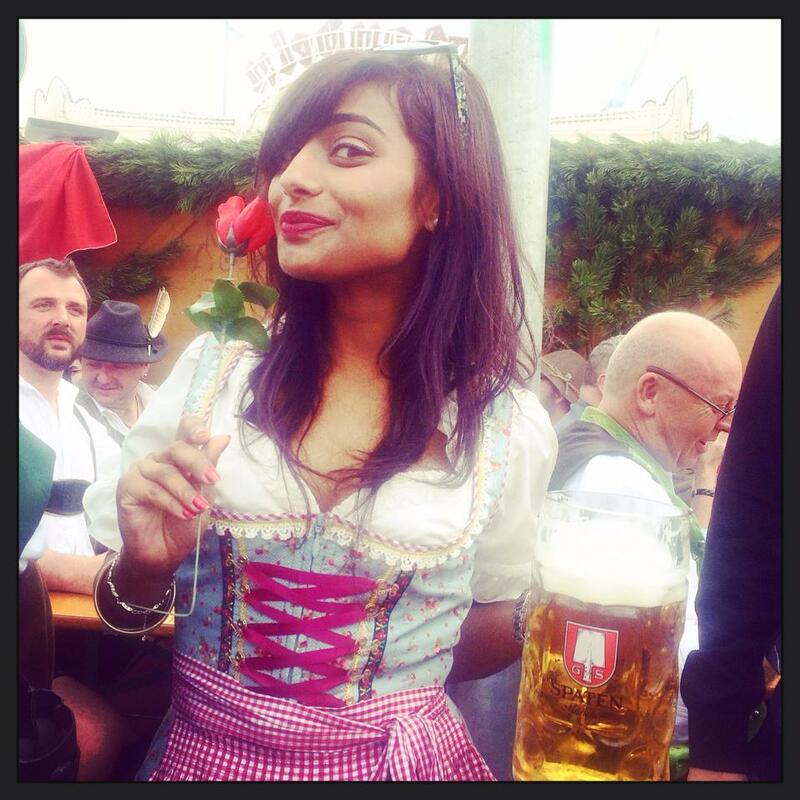 This year I have been fortunate enough to travel around various European cities and one of my recent ventures was to Austria and Munich during Oktoberfest. I know the locals get rather annoyed with thousands of tourists flocking to their country during this time of the year but you gotta experience this massive beer fest once in your lifetime. Wearing a Drindl and drinking beer! I decided to stay in Salzburg instead of Munich, because accommodation in Munich is extremely expensive during this time and Salzburg is one of the most beautiful cities you will ever visit! I bought a Drindl – Yes! It drilled a massive hole in my wallet but it was worth it. I did feel like very German besides the fact that I am half their height! I took the train from Salzburg to Munich – It’s an extremely beautiful train ride. Takes only 1.5 hours. Walked around Salzburg and discovered the pretty city – Mirabelle Gardens, Mozart Museum, Little alley’s with shops. There is a lot to do in this pretty Austrian city. Went on one of the super scary rides inside Oktoberfest after drinking tons of beer – It wasn’t as bad as I thought it would be, on the contrary it was a lot of fun! Ate a lot of bread – you will not find such fresh and tasty bread in UK! Previous Post 5 Things you need to know about Persian Cuisine! Next Post Made it to The Independent!